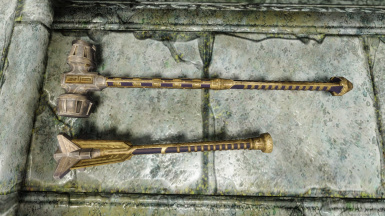 This is simple recolor of dwarven weapons to make them look like made of bronze and steel. 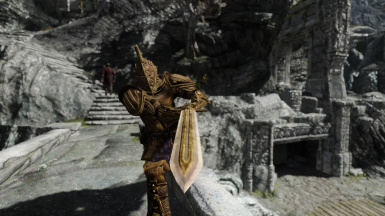 Dawnguard is not required. Textures edited from Skyrim Official HD Texture Pack. 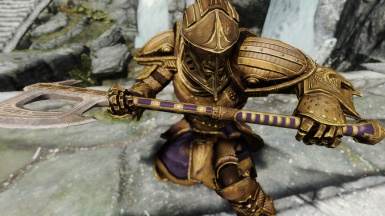 They also are designed to match CaBaL120\'s aMidianBorn Dwarven Armor retexture. 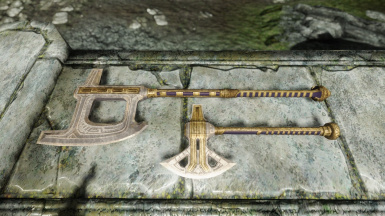 This is simple recolor of dwarven weapons to make them look like made of bronze and steel. 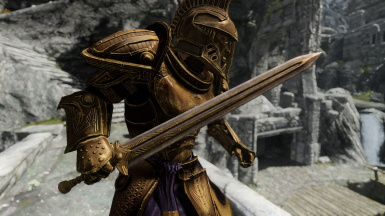 Dawnguard is not required. Textures edited from Skyrim Official HD Texture Pack. 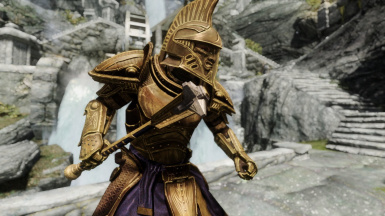 They also are designed to match CaBaL120's aMidianBorn Dwarven Armor retexture. First I did it to improve my retexturing skills, but finally i decided to post it on SkyrimNexus. Maybe someone will like it. 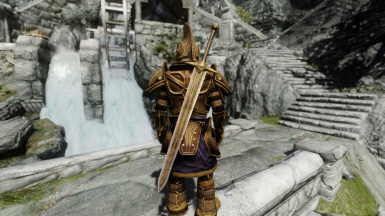 Anyway, I think that dwarven swords look much better with steel blades. The others were made to fit the set. The effects of my work are shown on screenshots. Mod also includes some minor texture tweaks to replace texture for wooden parts to better fit the new color and resize specular maps to make weapons look really HD (all texture maps(layers) should have the same size, otherwise quality of rendered object will be determined by the worst quality map). 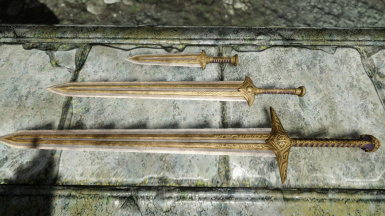 I think that my specular maps can be used for other retexture mods (of dwarven weapons) that not contain them in higher resolution. 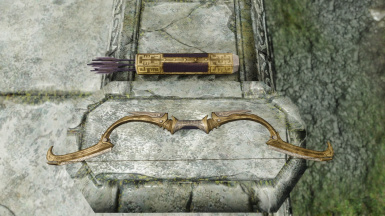 This pack does not contain retexture for dwarven shield - i recomend using Hectrol work at http://skyrim.nexusmods.com/mods/3996. 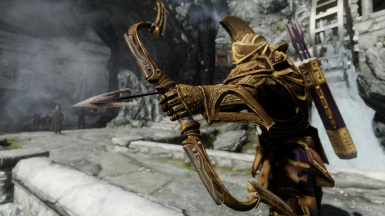 Install: Unpack archive to your skyrim installation folder, e.g. "..\Steam\SteamApps\common\skyrim\" and overwrite or backup textures of other mod if necessary.